This week the Horror Duo salute the Great White North by discussing a pair of Canadian produced films. Forest appreciates the strong female lead in Space Hunter: Adventures in the Forbidden Zone, and Cory plays "which one of these things is not like the other" with Canada's The Vindicator and RoboCop. They also chat about getting dumped on by a record breaking amount of snow, Tarantino directing the nest Star Trek film, and the every growing mystery that is Tommy Wiseau. All this and they invent a Augmented Reality App that allows people to devour their friends and family by dinosaurs. For more Slaughter Film news and reviews, as well as show notes and special events, make sure to visit our website; SlaughterFilm.com. 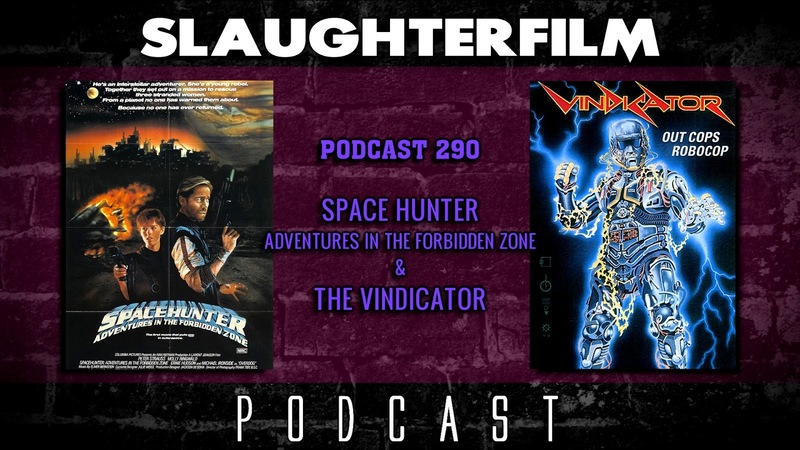 26:15 - "Space Hunter: Adventures in the Forbidden Zone"